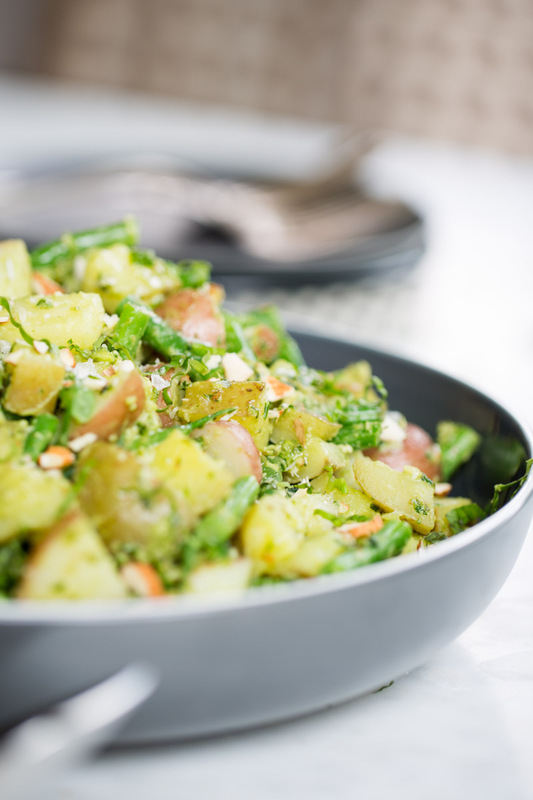 This potato salad with pesto is one of my favorite recipes ever! I love all the unexpected flavors and how different it is from the typical potato salad. 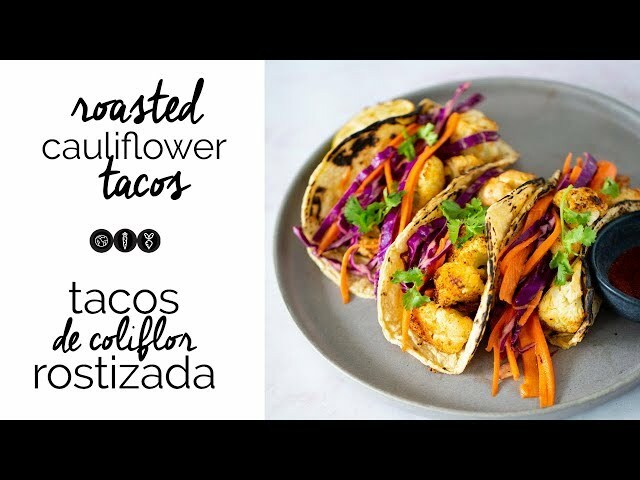 This salad is crunchy, spicy, flavorful, vegan and very very healthy. I’ve had this potato salad in mind for a long time now, but I didn’t want to share it because lately, potatoes have a bad rep. I love potatoes and think they are very nutritious full of vitamins and minerals as well as being a whole food from nature, but since they became associated with being french fries, chips or baked with tons of cheese and bacon…their reputation suffered. 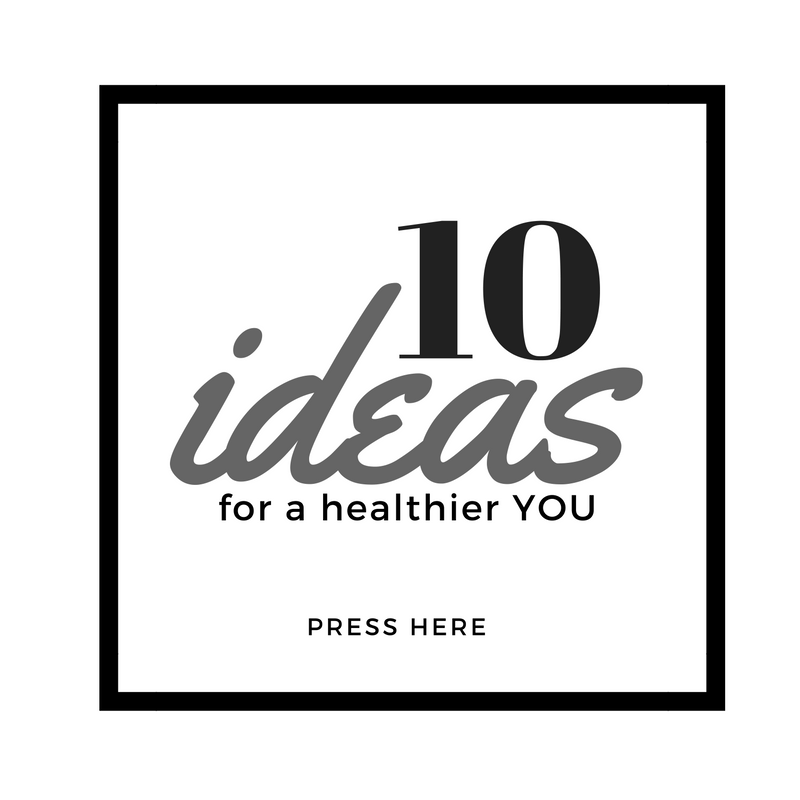 : ) I think moderation is the way to go… you don’t want to stuff yourself only with potatoes, but if you eat them once in a while, you buy them organic when you can and make recipes like this nutritious salad… they are wonderful! Yum! 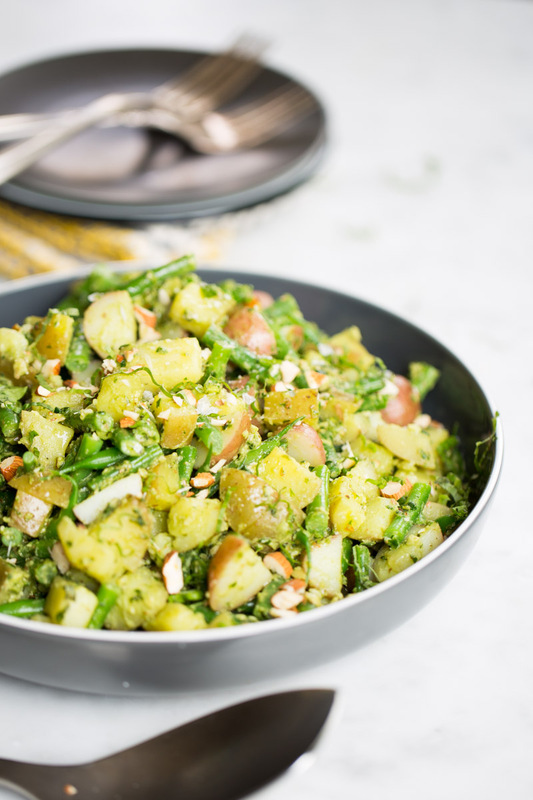 This potato salad is complemented by green beans which besides being an excellent source of fiber they are full of vitamins and proteins. You can add them raw or blanched (TO BLANCH: cook them for a minute in boiling salted water and then you put them in cold water to stop them from cooking further.) Please, please, please don’t use canned green beans because they have been cooked already and they are usually pretty soggy… just thinking about it made me twitch. 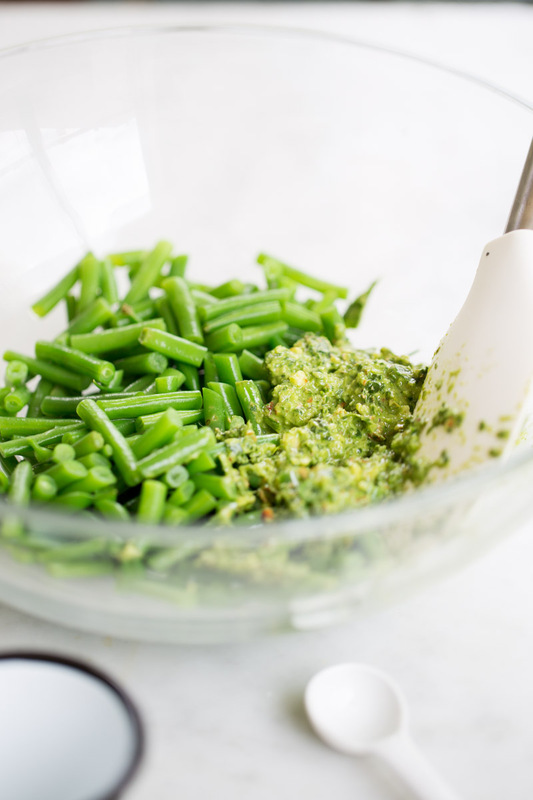 One fantastic element about this salad is the pesto made with almond, spinach, and jalapeño. Both spinach and basil have tremendous nutritional benefits so you can imagine what happens inside your body when you combine them right? AMAZING THINGS! Feel free to use any pesto you have at home ( homemade or store-bought) or make the one in the recipe. Blanch the green beans first and in the same water cook the potatoes. You can use frozen green beans. This salad is good on its own or as a side dish. It is incredible with hamburgers or sandwiches. …and green beans! I love that this recipe is a little bit out there and breaks the mold from the typical potato salad smothered in mayo. 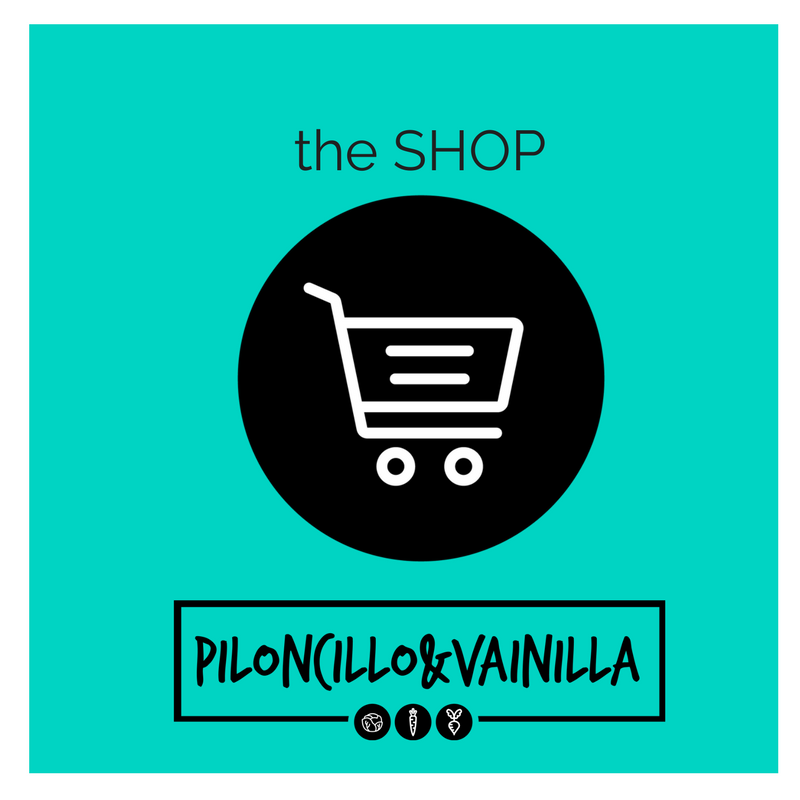 If you like it, please share the recipe and my blog. Take a picture of your salad and share it on Instagram, FB or Pinterest. Cook the potatoes and the green beans. Leave aside to cool down. Put all the ingredients for the pesto in the blender and blend until it is all super well integrated. 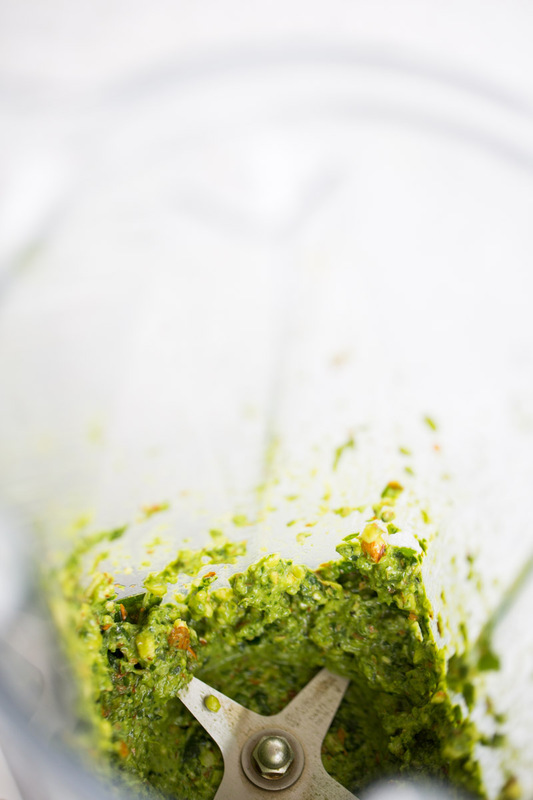 Add one tablespoon of water if the pesto is too thick or the blender does not run well. 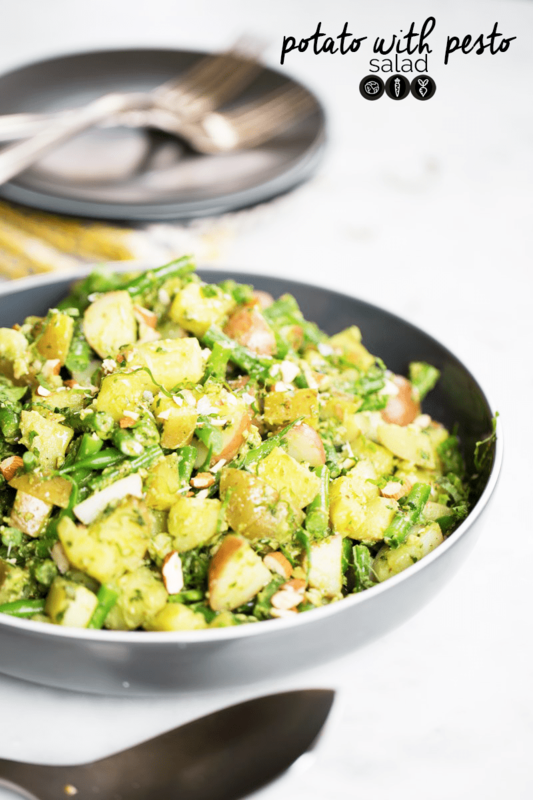 In a large bowl mix the potatoes, green beans, and pesto. Finish the salad with coarse salt, chiffonade basil, and chopped almonds. 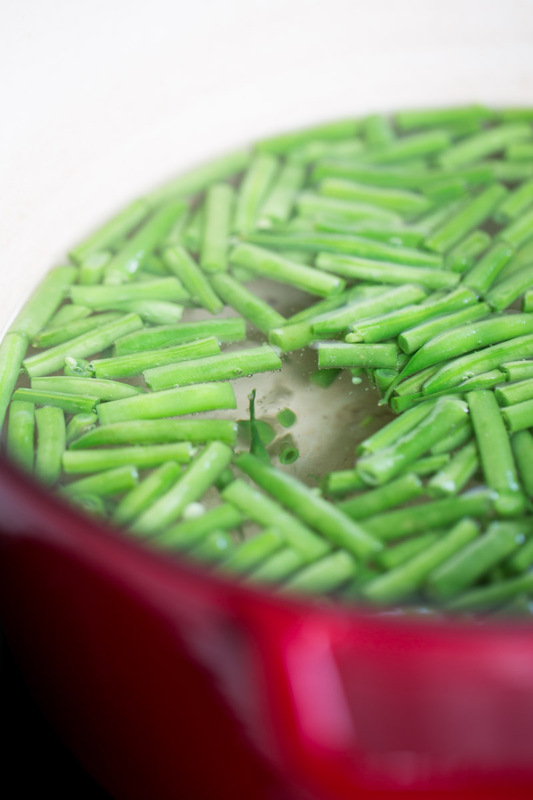 To cook everything faster, use the same salted and boiling water to cook both: potatoes and green beans. You put the green beans for one or two minutes and then put the potatoes in the same water.